Altium Wealth Management, based in Purchase, New York, is a financial advisor firm with $911.4 million in assets under management (AUM). With about a dozen financial advisors on staff, the firm serves a variety of clients, including individuals, pension plans, charitable corporations and business entities. The typical minimum for clients to invest is $1 million. The firm offers multiple advisory services, though it mainly helps clients with financial planning and investment management. As a fee-based advisor, Altium charges a fee on based on clients’ AUM and individual advisors may also earn a commission for selling insurance products. Altium Wealth Management dates back to 2009, when the firm’s founders decided that they should strike out on their own and create an advisory firm. Their goal was to create a firm that focused on the customer and his or her particular goals and needs. This customer-centric vision manifests itself through the individualized plans that advisors create for each client. Altium also tries to stay connected with its community through the Altium Foundation. The foundation makes charitable contributions, promotes community service and takes part in other philanthropic endeavors. What Types of Clients Does Altium Wealth Management Accept? Altium offers advisory services to a wide range of customers. It serves both high-net-worth and non-high-net-worth individuals. The majority of clients are non-high-net-worth individuals. The firm also works with pension plans, profit-sharing plans, trusts, estates, charitable organizations and corporations. Altium generally requires a minimum of $1 million for portfolios. However, the firm will accept clients with smaller portfolios in some cases. According to the firm, it only accepts a client with less than the minimum if it determines that the smaller portfolio size won’t cause a significant increase of risk in the client’s portfolio (beyond the risk level that the client is comfortable with). All of the services listed above are available on a stand-alone basis, but clients typically pair these services with investment management. Altium also offers what it calls Vantage Point™. This is a program by which a team of advisors works to approach a client’s finances with a holistic perspective. The team can advise clients on all aspects of their financial health and help to coordinate what is usually a jumble of advice from disparate sources. When deciding on investments, Altium will first work with a client to understand his or her individual objectives. Advisors will consider things like the client’s time horizon, tolerance for risk, tax management, liquidity and any other specific constraints. Once a client’s objectives are clear, advisors work to build a diversified, risk-managed portfolio. Altium uses what it calls a scorecard to analyze and rate the securities it uses in client portfolios. Individual portfolios will vary in composition but the firm may use mutual funds, exchange-traded funds (ETFs), fixed-income securities and cash accounts such as money market accounts (MMAs). The fees you pay with Altium will depend on the services and products you use. Consultation fees, while negotiable, generally range from $5,000 to $25,000 for a one-time project. If you’re paying hourly, you can expect Altium to charge a rate between $150 and $650 per hour. The firm also offers ongoing consulting services for a fee of between $1,000 and $15,000 per year. The exact fee will depend on how complex your individual situation and portfolio are. If you invest through Altium, you will also pay a management fee. The fee is a percentage of your AUM and depends on how much you invest. Investing larger amounts will give you access to lower fees. For example, the first $1 million you invest is subject to a fee of 1.25% but then the next $4 million faces a fee of 0.75%. You can see the fee schedule in the following table. Altium prorates the annual management fee and will typically charge you quarterly. In addition to management fees, you may need to pay additional fees from third parties, such as brokers and banks. As an example, trading certain mutual funds may result in brokerage commissions or transaction fees with the broker through which you buy the fund. *Fee estimates only consider the maximum base fees for the services each firm provides. You may also pay manager fees and other fees, which can vary in amount. **All figures are based on median fee levels according to Bob Veres' 2017 Planning Profession Fee Survey. The above estimates solely take into account AUM-only fees. Total costs will likely be higher due to additional expenses. Financial advisors at Altium may earn a commission for the sale of certain insurance products. At the same time, keep in mind that Altium advisors have a fiduciary duty to act in the best interests of their clients. Altium has not been subject to any disciplinary actions from regulators over the past decade. To learn more about working with Altium, visit the firm’s website and click the “Contact” button in the menu. You will see phone numbers, a map to help you find the office and an email address that you can use to contact the firm. Where Is Altium Wealth Management Located? You can find Altium Wealth Management in the town of Purchase, New York. Purchase is less than an hour’s drive north of New York City, and Altium’s office is in the southern part of the town. 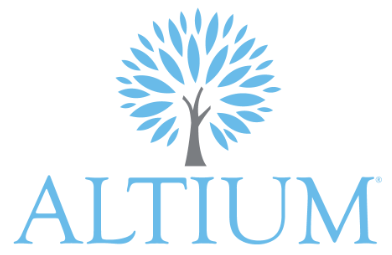 Altium Wealth Management is just one of many financial advisor firms in Purchase, New York. (It isn’t even the only firm on its street.) Depending on your individual situation and goals, you may want to work with another firm. SmartAsset’s financial advisor matching tool helps you find an advisor by pairing you with up to three advisors in your area. Simply answer some questions about your goals and preferences. Many people look for advisors to help them plan for retirement. However, advisors can also help with much more, such as general financial planning, wealth management, tax planning and estate planning.